Electron Energy Corporation (EEC) is a preferred supplier of neodymium iron boron (NdFeB) or “neo” magnets for a variety of markets and applications. 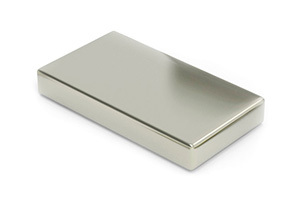 NdFeB magnets offer the highest energy product of any permanent magnet material on the market today. The various grades of EEC’s neodymium iron boron offer customers many options when selecting materials based on operating temperature and energy product requirements. NdFeB magnet applications include high performance motors, brushless DC motors, sensors and magnetic resonance imaging equipment. EEC’s NdFeB magnets provide a cost-effective solution for high-performance requirements.